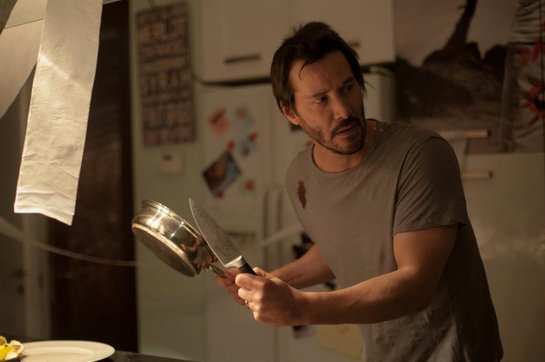 From acclaimed director and ‘Master of Horror’ Eli Roth comes disturbing psychosexual thriller Knock Knock. Keanu Reeves stars as Evan Webber, a happily married architect who appears to have everything a man could ever dream of – a loving and successful wife, two beautiful children and an expensive home. During a weekend alone, his peaceful existence is interrupted by the sudden arrival of two lost and seemingly innocent young girls. After naively inviting them in while they wait for a taxi, the night takes a sudden and disturbing turn when a debaucherous mistake evolves into a living nightmare.